Contrary to popular belief, ballet isn’t just a delicate hobby reserved for women and girls. Regardless of shape, size or athletic ability, anyone can benefit from the physical and mental demands of a ballet class. Even for serious athletes who typically focus on weight training and building endurance, ballet could be an intrinsic part of their fitness regimen. Ballet moves challenge your everyday range of movement. Whether it be a high kick or a plie, your muscles are becoming more flexible with every class. Increased muscle flexibility can help with overall athletic ability, as well as provide a stronger foundation for other classes, such as yoga. Ballet increases awareness of both your body and the world around you. You learn to understand your center of gravity and focus on isolating individual body parts. While focusing on yourself, you also have to simultaneously be conscious of those around you in a class. These skills translate to nearly any sport, especially basketball, football or boxing. Ballet can be intimidating for even the most talented athlete. It’s something new that they might not be good at. But that’s okay. Everyone starts somewhere. Confidence will grow when a person improves their abilities in class, but also when their athletic ability improves because of the benefits of dance class. Ballet is hard. There’s no way around it. Holding poses requires strong muscles and a high-intensity class can leave you breathless. Dance has a strong aerobic component, but your mind is distracted by enjoying the movements, making it mentally easier to persevere and improve stamina. Not to mention, your feet will be stronger than ever! When you’re running or working out in a gym, it’s usually a solo experience. You have to provide your own motivation. Being in a class is similar to being part of a sports team, which is something many athletes find beneficial. There are people to hold you accountable and encourage you. The companionship and connections formed through dance classes are a powerful thing. In April of 2013, the Yorkshire Post covered a story about when the Leeds Carnegie Basketball Team (who were National Cup champions) tried their hand at my BalletBeFit routine. Throughout the day, the men found out that the poses and movements of ballet require a great deal of stamina, flexibility and overall fitness. 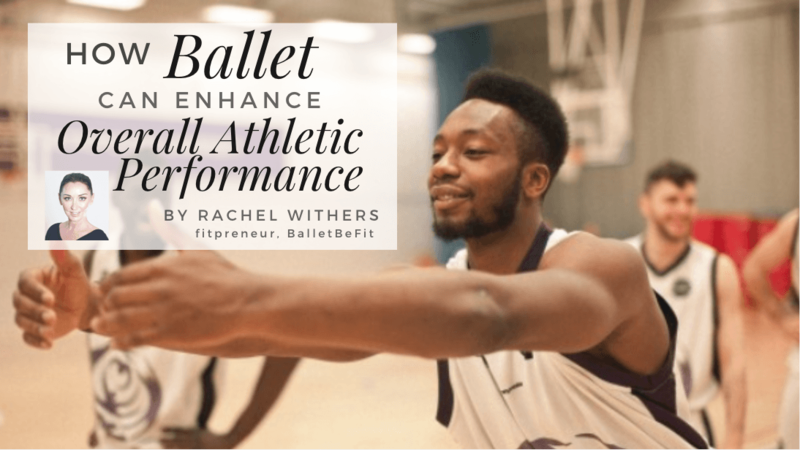 My BalletBeFit classes challenged champion basketball players, but they can also be toned down to help an 80-year-old or new mom meet her fitness goals. The beauty of dance is that it can be tailored to fit anyone’s needs.